These vibrant and eye-catching round designs look more complex than they really are. Learn easy strip paper-piecing techniques. Full-size foundation patterns included. 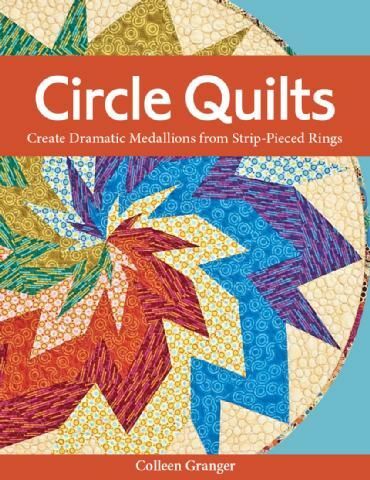 Eight different projects use round designs to create striking circular quilts, unique wall hangings and more. With this fast and easy "power piecing" method, you will be working confidently in no time. Learn how to use high-contrast prints and hues for high-impact creations. Colleen's practical tips ensure success at each step. Order Quilt Shaper to help hold circles taut for hanging your finished wall hangings.